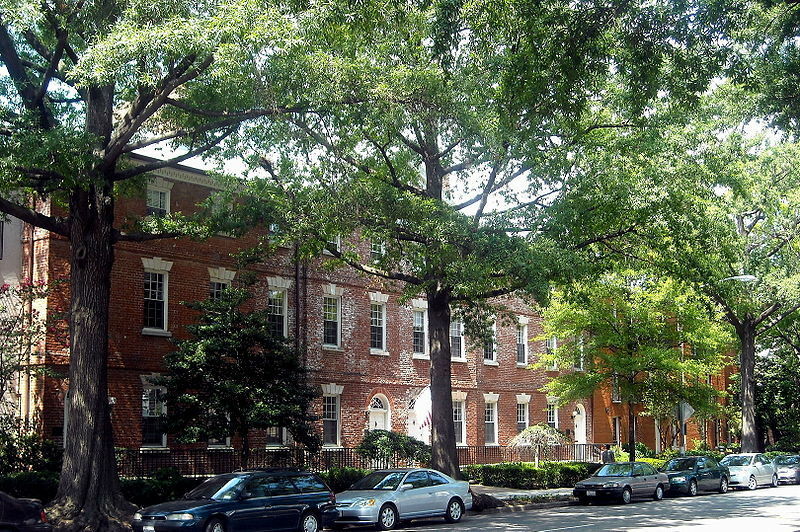 Wheat Row consists of four attached, three story brick houses built as a unit in the late eighteenth century. 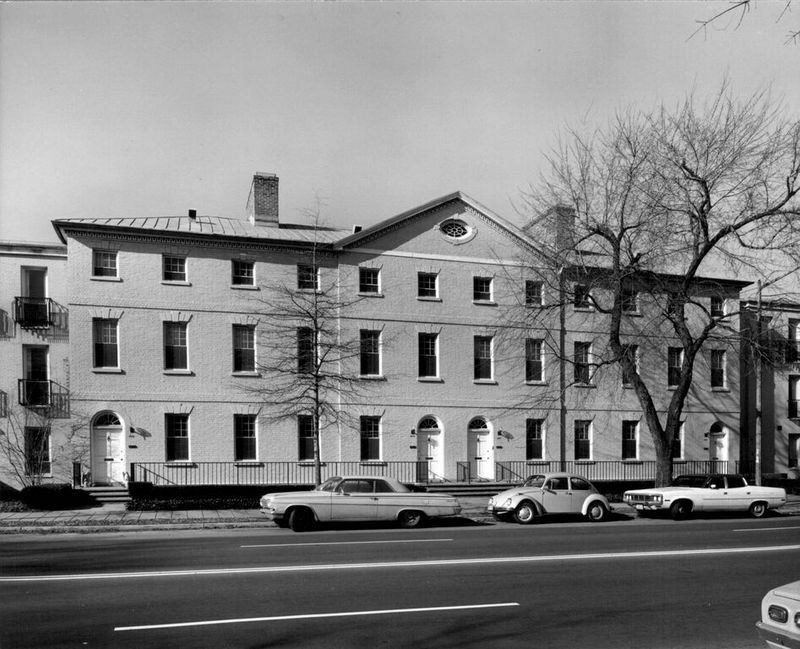 The four attached houses that comprise Wheat Row are probably the first speculative housing erected after Washington was chosen as the seat of government. They were built circa 1794 by the Greenleaf Syndicate and their design is attributed to architect William Lovering. James Greenleaf was the United States Consul in Amsterdam when he visited Washington in 1793. 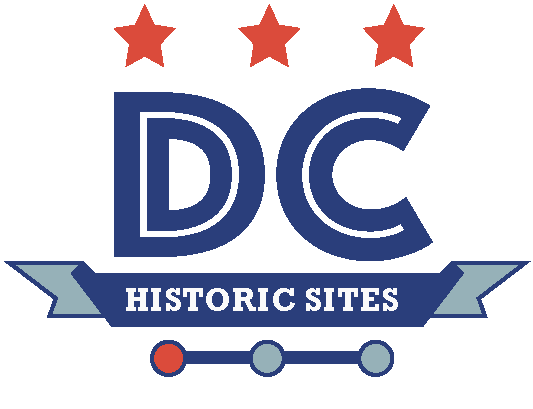 He purchased 3,000 lots in the new city, but later in the year relinquished his lots and with Robert Morris and John Nicholson purchased 6,000 lots. These three men, know as the Greenleaf Syndicate, controlled one-third of the saleable land in Washington. Wheat Row contains some of the first houses built by the syndicate. In 1964-1966 Wheat Row was rehabilitated as part of Harbour Square, an urban renewal housing project designed by Mrs. Chloethiel Smith. 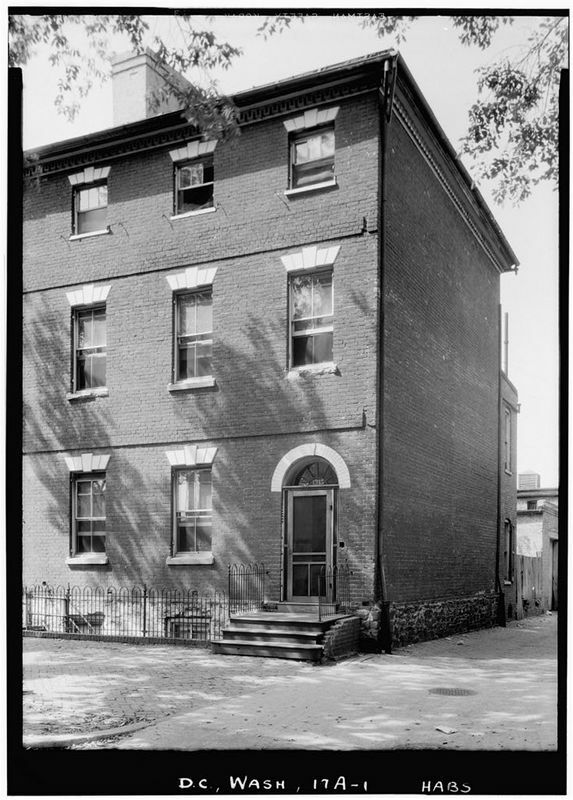 “Wheat Row,” DC Historic Sites, accessed April 24, 2019, https://historicsites.dcpreservation.org/items/show/65.